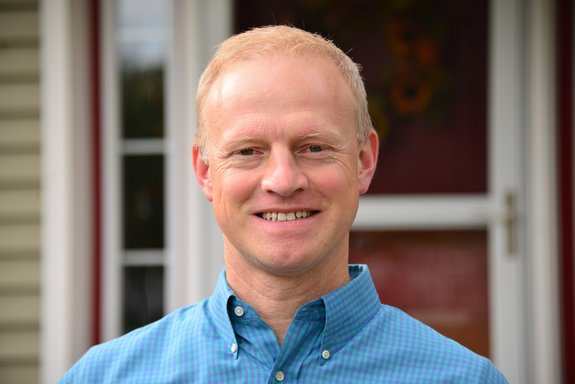 Independent Marty Grohman is one of two challengers seeking to unseat incumbent Democratic U.S. Rep. Chellie Pingree in Maine’s 1st District. Maine Calling Host Jennifer Rooks asked Grohman about what should be done about the partisan divide in our state. This is an excerpt of “Maine Calling” from Tuesday, Oct. 9, 2018. To listen to Marty Grohman’s full appearance, click here. Grohman: I think where we’ve gotten to right now is such a divisive time, and I do think we need to elect people who will represent the people of Maine first and not a political party. I mean, this is a unique and unusual opportunity that we have in this race. We have ranked-choice voting, so nobody has to say, “Hey I don’t want to vote for you, Marty, as the independent because I really am worried the Republican will win,” or however you look at that. Instead we’ve got this amazing chance to get an independent voice down there representing us who will always have an open door, who will work with anybody just to get things done for the people of Maine, and that’s what I’m on my way to do. Rooks: What’s the biggest issue facing the constituents of the 1st District and how will you address it? Grohman: I’ve been working hard, out the door at 5 a.m. to shake hands at Bath Iron Works and putting thousands and thousands of miles on my truck and hearing from people all over Maine. It’s been the most rewarding thing I’ve ever done. Just before coming into the studio here in Portland I was meeting people up in Monument Square and getting their perspective. And I’ve got to tell you, people are just so frustrated. A woman named Ann just said to me, “I’m not even going to vote anymore. I’m just so sick of it, this partisan cage match.” So I think we’ve got to break through that before we can start getting things done. I mean, clearly there are issues that we need to take on in health care, in the opioid crisis and many other areas. But we need a focus on where we agree, not where we disagree, and that’s what the problem is as I see it. We cannot move forward until we can find a way to work together. Rooks: Should access to affordable health care be a national priority? And if so, what does Congress need to do to ensure it? Grohman: In my service in the Maine Legislature I’ve been a consistent and very forceful advocate for expanded access to health care. I have to tell you, as a member of the Criminal Justice Committee, one of the things that you do is you tour all of Maine’s county jails. It’s very affecting — 80 percent of the people in our jails are there for some offense related to substance use disorder. And if we’re going to help them get back on their feet and stop this cycle, they’re going to need access to treatment. They’re going to need access to health care. So I think it’s absolutely critical that we have federal support to take on what is clearly a nationwide problem. Rooks: If elected what committees would you like to serve on and why? Grohman: I plan to be on the House Armed Services Committee. I believe that the representative of Maine’s 1st Congressional District, it’s almost incumbent that we have somebody on that committee because I will be such a strong advocate for Bath Iron Works, Portsmouth Naval Shipyard, Pratt and Whitney and General Dynamics in Saco. I think if you look at Maine’s economy, so much of it is driven by those critical jobs that we have there. More than 11,000 people work between those facilities, and that’s a lot of jobs — let me revise that, not just jobs, these are careers and they’re really, really important, and I think it’s absolutely incumbent that the representative of Maine’s 1st Congressional District support them 100 percent. All of the time.